Ready for the finals?.. are you hosting a game day party? Or may be you want to entertain your guests in a different way this time but need an easy snack or lunch recipe. 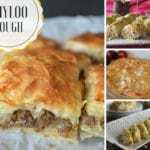 Search no more, here comes the easiest and fool proof dough recipe that can be transformed into a variety of delicious dishes. The miracle dough, the all purpose dough or simply known as the 10 minutes dough… have you heard of it before? 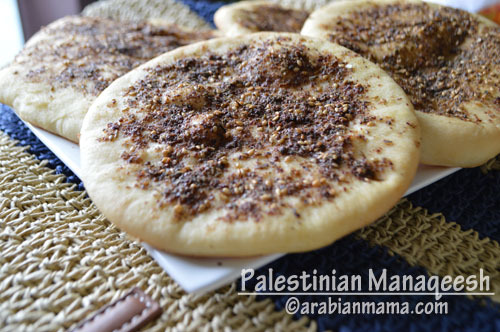 Palestinian Manaqeesh with za’taar and sumac. In the Middle East we are obsessed with soccer, it is the number one sports in every Middle Eastern country. We wait for the world cup on pens and needles. If there is an important – local or international- game you can hear people screaming, shouting and sometimes cursing when they do not like what the players are doing. Coffee shops are jammed with people young and old, men and women we all love soccer. 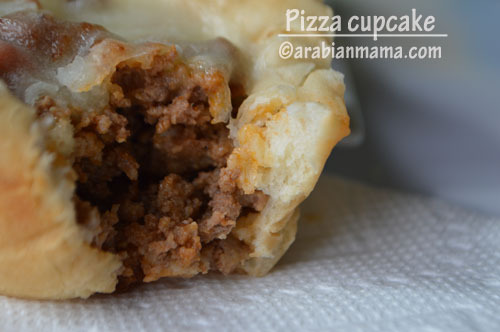 If you are in any way like us in the Middle East and just love everything soccer, you may want to try this simple dough. It does not require much time or skills which gives you more time to enjoy the game, even better you can make it, bake it, freeze it for up to 4 months ahead of the game day :). With this one dough you can make Calzones, flatbreads, pizza, cinnamon rolls, buns, monkey bread and much much more. Airy and fluffy from the inside and what makes it better is that it requires no experience in baking at all. 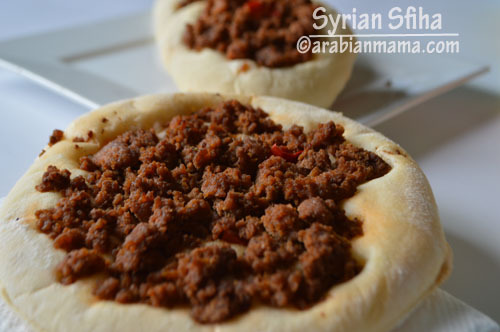 Change the look of your ordinary baked goods to spice up things a little or learn how to make authentic super easy Middle Eastern ones like Palestinian Manaqeesh or may be the Syrian Sfiha. 5 c all purpose flour. 2 Tbs dry milk – optional. With a wire whisk mix 2 cups of the flour, yeast, salt, sugar, salt, dry milk and 2 cups of warm water. You will have a runny mixture cover and let it set for 10 minutes only. After the 10 minutes your mixture will be bubbly – due to the yeast-, add the remaining 3 cups of flour and the oil and mix until you get a nice dough. Turn the dough on a lightly floured surface and knead by hand for 2 to 3 minutes. That’s it you are done and your dough is ready to be rolled and shaped in whatever you like. Roll your dough to a 1/4 inch thickness, cut small circles about 10″, brush generously with olive oil and sprinkle a mixture of equal parts of sumac and za’atar. Bake in a 350F oven for about 10-12 minutes depending on your oven. Prepare meat filling by first heating olive oil in a pan then add a medium size diced onion, saute, add 1/2lb ground meat,1 diced tomato, 3Tbs Tahini paste, 1Tbs pomegranate molasses then salt and pepper. 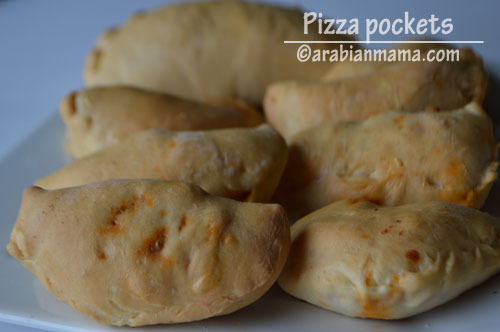 Roll the dough to a 1/4 inch thickness disks with your finger tips, top with the meat mixture and bake. Here is a video on this quick and magical dough on my YouTube channel. I just stumbled over your blog, not sure you still around, as last comment was made in May last year ! 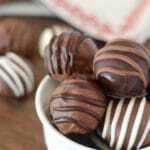 These are beautiful recipes thank you for sharing them with us. I just need to ask , how to store the unused dough for later, and how long you can store it for? Marie, thank you for your sweet words. A yeast dough will last approximately three days in the refrigerator; however, it is best to use it within 48 hours. You need to cover it tightly with plastic wrap though. Rima, Woohoo way to go girl. This particular recipe is dear to my heart. It was my first dough making experience as well and it indeed encouraged me and broke this wall of fear from kneading :). I am so glad it was successful with you. What did you make with it? Thanks for sharing this recipe …will definitely try it…. 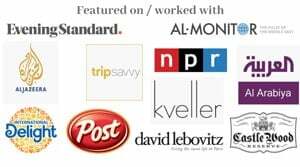 this is the first time I have visited your blog/website – your posts are wonderful. Don’t deprive the world of your passion and talent…. Thank you Lula for your sweet comment, they sure encourage me to keep going :). I am glad you find my recipes helpful. 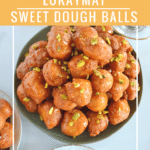 This is the best dough ever to do manakish ! thank you so much ! 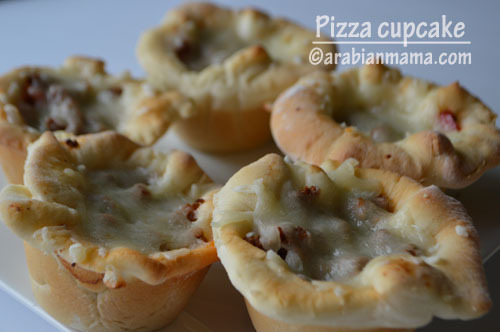 Thank you so much Bader for trying this dough, it is indeed a lovely dough, glad you liked it. Amira this dough looks just what I have been wanting to find to make all kinds of things especially flat breads. Love that you could just bake it for a few minutes. Can we also use this bread to make flat breads in a pan on top of the stove? Love your videos!!! Shh you have to keep it a secret that it only takes 10 minutes or my boys will be requesting it all of the time. 🙂 Just shared!